Last part of making the Mathilde Blouse, y’all! You excited? I am! Your cuff pieces should have already been interfaced. Stitch the short ends of each cuff together, right sides together. Press the seams open. Now fold each cuff in half lengthways, wrong sides together. Press the fold line to mark it, then unfold it again. 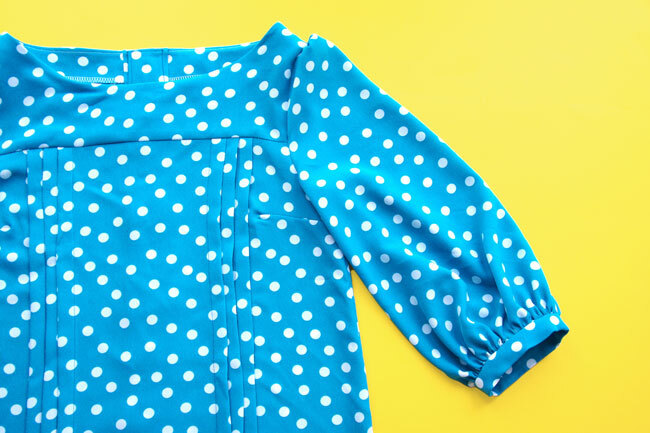 Slip a cuff over the edge of each sleeve, with the right sides together. 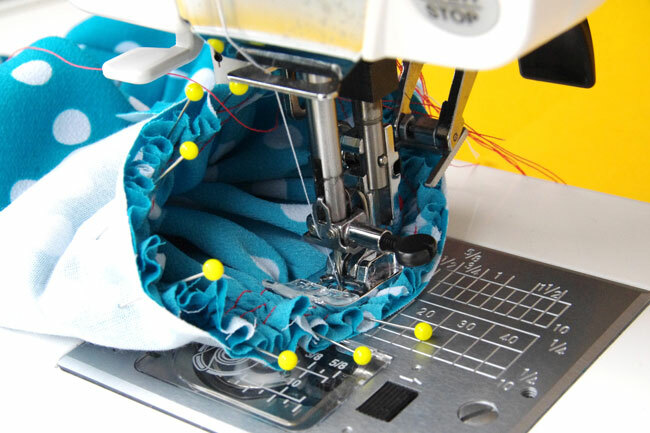 Start by pinning them together at the seam lines and notches. Pull on the gather threads at the sleeve hem until the fabric has gathered up to fit the cuff. Then you can use your fingers to spread the gathers out evenly. Once the sleeve hem fits the cuff and the gathers are spread evenly, pin them in place. Use lots of pins - pinned at right angles to the edges - to help keep those gathers even. 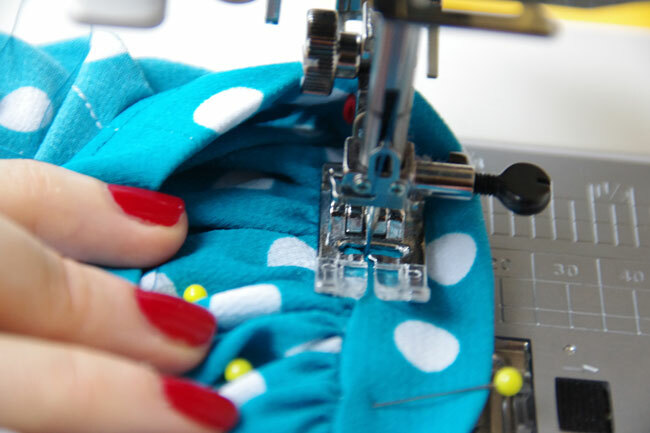 Stitch the sleeve hem to the cuff. 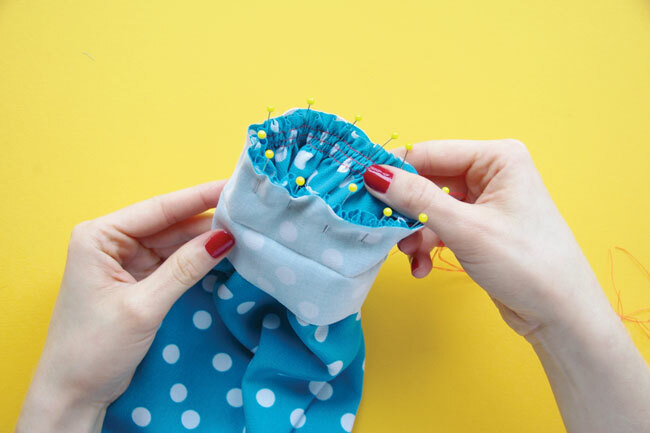 If you sew with the sleeve turned right side out, and the wrong side of the fabric directly under your needle - as shown - you can keep an eye on the gathers and readjust them as necessary (mind your fingers!). If you’re super earnest and want to make extra sure your gathers are really even, you could tack (baste) first using long stitches that you can pull out later. Take your time here to get the gathers even - there’s no hurry. Trim the sleeve seam down to reduce some of the bulk. Unpick the gather stitches. Press the cuff away from the sleeve. Now turn the sleeve wrong side out. Fold the bottom edge of the cuff under by 1cm (3/8in), wrong sides together, and press. 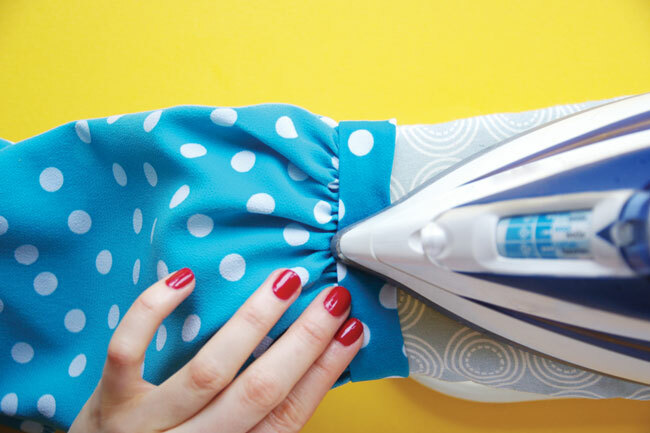 Fold it under again along the fold line that you marked by pressing earlier, and press again. The inside of the cuff should just overlap the seam line. All that’s left to do now is attach the cuff to the inside of the sleeve. My preferred method is to "stitch in the ditch" - in other words, stitch on the right side of the sleeve, with the stitches hidden in the seam line where the cuff joins the sleeve hem. Make sure the other side of the cuff is caught in the stitching and that the raw edges are tucked away neatly. Ta da!!! You’re done. 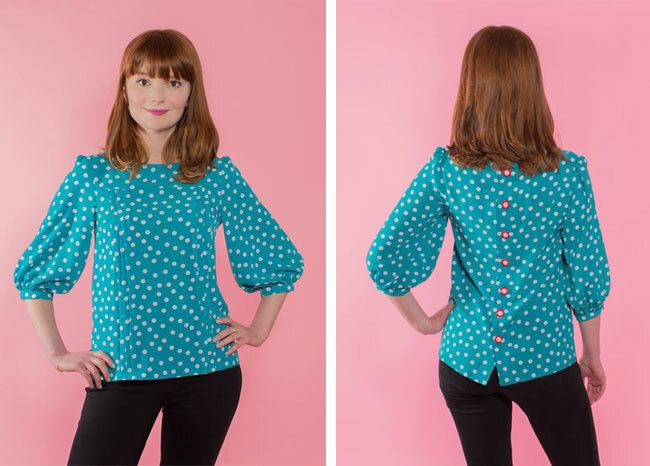 You’ve made a beauuutiful Mathilde Blouse! Wanna show us what you've made? 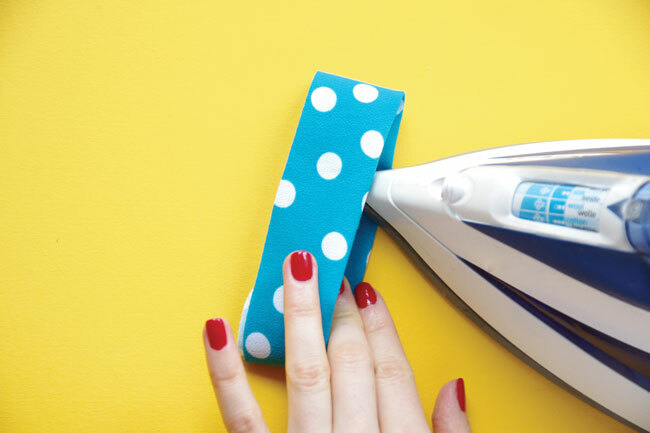 Tag us on Instagram @TillyButtons using the hashtag #SewingMathilde so we don't miss it. Can't wait to see! 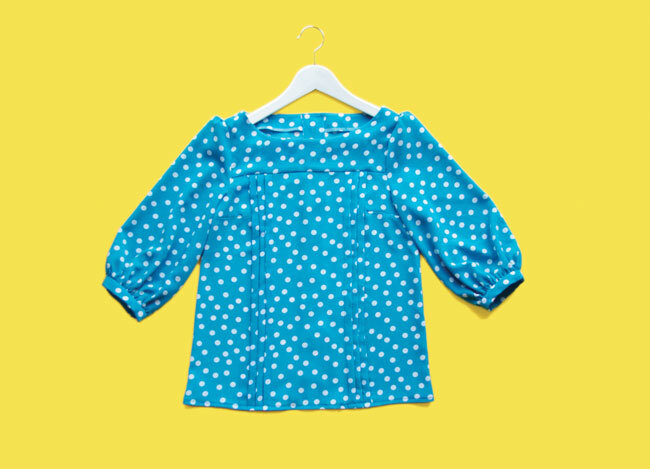 Make the Mathilde Blouse at Ray Stitch!